Illinois law makes a distinction between property acquired during your marriage, known as marital property, and property acquired before the marriage or by inheritance or gift. The latter is referred to as separate property. Only marital property is subject to division in divorce, and Illinois in an equitable distribution state. This means that if you and your spouse cannot agree on how to divide your assets, the court will do so based on the principles of equitable distribution. This means the judge will divide your property, including pensions, based on what he thinks is fair. This does not necessarily mean an even 50/50 division, and both monetary and non-monetary factors are considered. In Illinois, the equitable distribution factors that a judge must consider when dividing property include the needs of both you and your spouse, the length of your marriage, and your earning capacities. Judges can also consider contributions made during the marriage that increased the value of any marital asset. For example, if you never worked but you put significant effort into renovating your home and enhancing its value, the court can take this into consideration. An Illinois judge has the authority to award a greater portion of property in lieu of spousal support payments, but he can't consider marital misconduct, such as adultery, as a basis for increasing or decreasing a property award. Pensions acquired by either spouse during the marriage are marital property in Illinois. The spouse that earned the retirement benefit is usually referred to as the participant spouse, and the other party is the non-participant spouse. Dividing a pension requires a court order. If you're the participant spouse, a judge has the option of awarding your entire pension to you, then offsetting your spouse's share by giving additional other property to her. 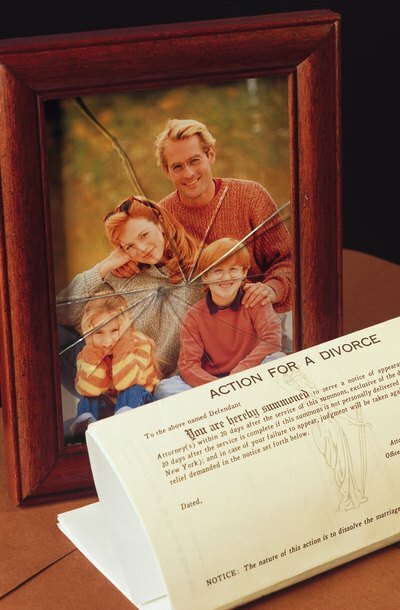 This method is effective if you have sufficient other marital assets to allow for the offset. An Illinois court also has authority to order the division of your pension with a qualified domestic relations order, known as a QDRO. This court order directs that the plan administrator allocate a portion of your pension to your spouse. If your pension is based on certain state-based public services, such as because you've worked as a firefighter, a police officer, or a school teacher, a qualified Illinois domestic relations order is required. QILDROs act similarly to QDROs, but they require additional steps and paperwork, including a consent order and a QILDRO calculation court order.